The e-discovery also known as electronic discovery or ediscovery eludes to revelation in the legal procedures, for example, government investigations, Freedom of Information Act asks for, or litigation where the data looked for is in the electronic format (regularly alluded to as the ESI or electronically stored information). The electronic discovery is liable to principles of the civil procedures and the settled upon procedures, frequently including audit for relevance and privilege before the information are swung over to the asking party.  Therefore, the eDiscovery Market is anticipated to expand and has tremendous scope during the forecast period. The global eDiscovery Market anticipated to flourish in the future by growing at a significantly higher CAGR. Based on Type the market is segmented into Services and Software. Based on Application the market is segmented into Cloud and On-Premises. The Cloud section is seen to lead the market due to number of advantages provided by this section like scalability, security, increased storage, flexibility, compliance & portability, and other factors. Based on End User the market is segmented into Manufacturing, Banking, Financial Services, & Insurance (BFSI), Retail & Consumer Goods, Government & Public Sector, Energy & Utilities, Healthcare & Life Sciences, IT & Telecommunications, Legal and Other End Users. The Legal section is seen to lead the market due to the helpfulness of this market for review compliance requirements, ensure negotiations & standardize classification criteria and other factors. The Asia Pacific region is leading the global eDiscovery Market owing to increasing utilization of the digital technologies at faster rate, increasing amount of data generated, etc.